It may be a bit of an over-generalization, but looking broadly at the current state of elections in Florida, one begins to get the impression that everybody is suing everybody. 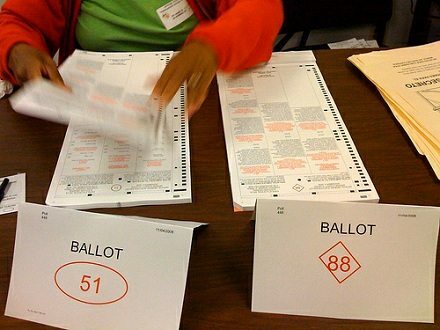 Most recently, a coalition of nonprofit groups and individuals have filed a lawsuit against Florida Secretary of State Ken Detzner related to the Sunshine State’s initiative to remove ineligible voters from the voter rolls. According to the lawsuit, the Florida Immigrant Coalition, the National Congress for Puerto Rican Rights, and Florida New Majority—all nonprofits—along with the 1199 SEIU United Healthcare Workers East labor union, a Miami-based civic group, Veyeyo, and a couple individual plaintiffs, are alleging that the voter roll purge program violates the Voting Rights Act. The plaintiffs say the Florida purge does so by creating “less opportunity than other members of the electorate to participate in the political process and to elect the representatives of their choice” for African American and Latino citizens. In addition, the lawsuit charges the state with violating the National Voter Registration Act’s prohibition on conducting voter purges within 90 days before a federal primary or general election (as the state has a primary that includes federal offices on August 14th). Not to be left out of the election lawsuit picture, Florida’s Division of Elections is suing the Department of Homeland Security over access to a database that it wants to use to check on the citizenship status of Florida residents. However, a spokesperson for Detzner acknowledges that the list includes inaccuracies, as some people have become citizens after getting their drivers’ license, for instance. Meanwhile, the Miami Herald reports that the Washington, D.C.-based Voter Participation Center (VPC) is sending some Florida residents a mailer that is causing some confusion. The nonprofit VPC is dedicated to “increasing the participation and amplifying the voices of unmarried women (women who are single, widowed, divorced or separated) and other historically underrepresented groups in our democracy.” Its new mailer, the Herald reports, asks recipients to “affirm that [they are] a U.S. citizen and that [they haven’t] committed a felony” before sending the form to the state’s Division of Elections. Herald reporter Michael Van Sickler notes that the Division of Elections hasn’t commented on the mailer, but something tells us it might not be the only confusing mailer that will wind up circulating in Florida this election season.